Mar. 6, 2017 will be the one-hundredth anniversary of the birth of Spirit creator Will Eisner. 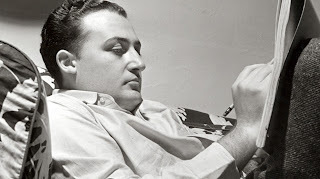 That week is now annually celebrated as Will Eisner week, and a few major cities have events. I think it would be appropriate to read something by him to discuss, even if it's just a couple of Spirit short stories, but we could do one of Will's later works as well. Any suggestions? 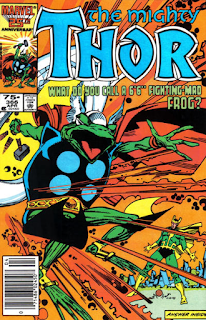 Some weeks back, Ian suggested we do a review of the issues of Walt Simonsons’s Thor run in which Thor, Prince of Asgard, is turned into a frog. It’s one of the most controversial Thor stories of all time, and I think the only Simonson Thor story that is disliked by anybody. I don’t think any or our reviewers have had a chance to read the story since it came up, and I’m not sure when Ian is going to schedule it, so I’m not going to review it … yet. Instead I want to talk about the almost 700 pages of Thor stories written and mostly drawn by Simonson before the controversial Frog story, and Simonson’s work that preceded that.